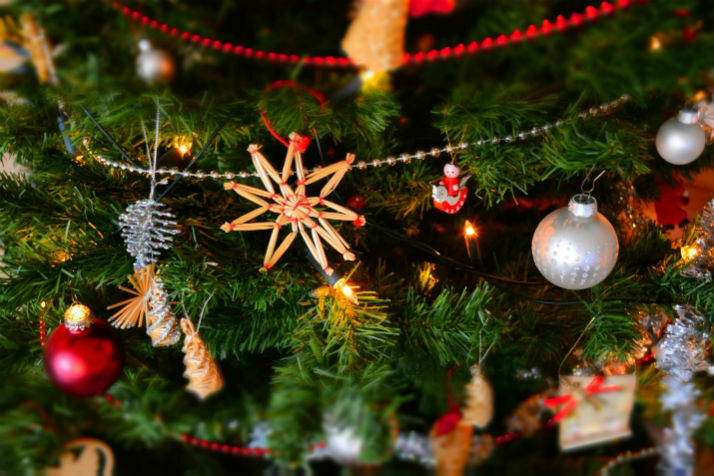 The holiday season is upon us, and in between the shopping, baking, cleaning, and decorating, there is also the traditional tree decorating. Some people put up their Christmas tree the day after Thanksgiving, while others choose to wait until they’re well into December. The Romans used evergreen boughs and trees as a celebration of winter solstice and a symbol of new life in the spring. 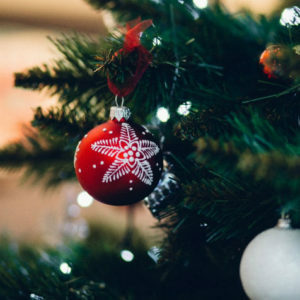 Though the Germans are credited with introducing America to the modern Christmas tree, it didn’t really become an accepted holiday ritual until the late 1890s. 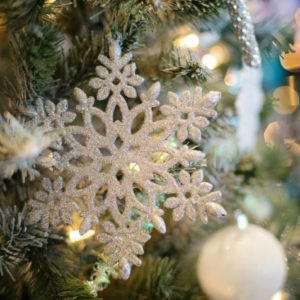 Today, we decorate our trees proudly with store-bought ornaments, handmade tree ornament crafts, and other decorations. While store-bought ornaments can be beautiful, the charm of handmade decorations calls to mind the simplicity of German trees with their ornamental fruits, nuts, and cookies. Here are three easy tree ornament crafts from Guest Blogger Cyndi G. that you can make for your own tree, to give as gifts, or to attach to wrapped gifts as fun bauble. You will need ribbon, cord, or fishing line for each of these crafts; cut to desired length to hang. Wash ornament and allow to completely dry. Using the cotton ball, apply rubbing alcohol to the entire surface. Once dry, you are ready to paint. Make sure that your painting area is covered with newspaper or other protective material. Shake your primary paint well, and squeeze a small amount onto the paper plate. Using your brush, cover the ball completely and evenly. You may use a hair dryer to speed up drying times. Apply two coats. When completely dry, attach the stencil. If you need to move it, use your versatile Scrigit™ Scraper to gently lift the stencil and then reattach. Shake your secondary paint well, and squeeze a small amount onto the paper plate. Using your dauber, lightly tap the paint into the open spaces. If you’d like to apply glitter, do so now and allow the stencil to dry before removing. You may use a hair dryer, but make sure it’s on the lowest setting. Thread the precut ribbon or cord through the ornament cap, and tie the ends together in a tight knot. You’re ready to hang! Lay out a sheet of parchment or craft paper. This is your drying area. Prepare your paper plates by pouring several tablespoons of craft glue onto one plate, and the glitter onto the other. Lay the snowflake in the glue, then turn over to ensure coverage on all sides and surfaces of the snowflake. Quickly lift the snowflake and place into the glitter. Use the spoon to drizzle glitter onto the uncovered areas (you don’t want to flip the snowflake in the glitter, or you’ll have glitter everywhere!). Place the snowflake onto the parchment paper to dry. Once your snowflakes are completely dry, thread the precut ribbon or fishing wire through one of the snowflake holes and toe the ends together. These look very whimsical attached to a wrapped gift under a bow! Preheat oven to 300°F. In a large bowl, mix the flour and salt thoroughly. Gradually add in the warm water, stirring as you go. Once all of the dough has been mixed, knead with hands for 10 minutes, and then allow the dough to sit uncovered for 10-20 minutes. 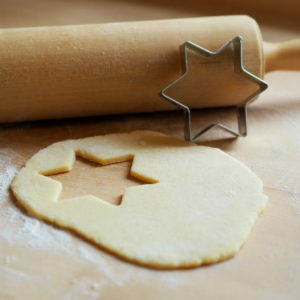 You may choose to roll out your dough to create a bunch of symmetrical ornaments. Roll out to desired thickness, then use cookie cutters to create shapes. If the dough sticks, use a little flour to dust both your rolling surface and your rolling pin. You may also create free form ornaments, and adorn with fingerprints, children’s handprints, or even pet paw prints! Just roll some dough into the shape of a meatball in your palms, then flatten to desired thickness. Place shapes onto a parchment-lined baking sheet and use your Scrigit™ Scraper to create a hole at the top for hanging and add designs. Bake in the oven until hardened (typically 1-2 hours). If the shapes still seem doughy or puffy, keep baking until firm. Allow to cool completely before decorating. These may be painted using acrylics, or bedazzled with glitter and glue—the options are endless! No matter how you choose to decorate your salt dough ornament, always use a clear craft spray at the end to seal out moisture and protect from cracking. Thread the precut cord through the hole, and give as a gift to your favorite people! You can make all of these tree ornament crafts in a single afternoon, so why not make it a craft party? Invite your friends over for some laughter and fun, or sit down with the kids or grandkids and explore your creativity. Maybe this activity could even become a new tradition for you and your loved ones!